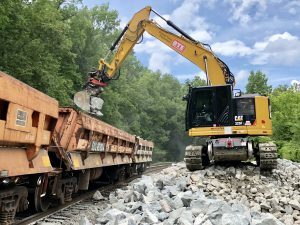 Amtrak and the Michigan Department of Transportation (MDOT) are gearing up for track improvements along the former Norfolk Southern (NS) route used by Amtrak Wolverine Service and Blue Water trains from Kalamazoo to central and eastern Michigan. Amtrak has responsibility for this infrastructure, effective Feb. 16. 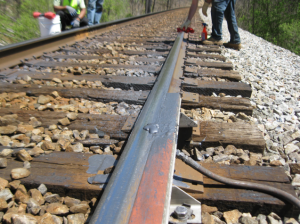 MDOT used a grant from the Federal Railroad Administration (FRA) to purchase 135 miles of NS railroad for $140 million. The line is directly connected to the Amtrak-owned Michigan District, which runs 97 miles from Kalamazoo to Porter, Ind. 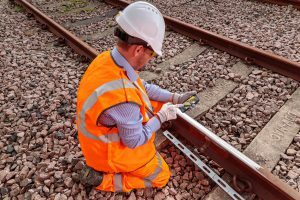 The result is nearly 80 percent of the route between Detroit and Chicago is publicly owned and will be maintained for passenger trains at higher speeds. The goal is to expand the 110-mph top speeds for Amtrak trains from the current 80 miles, starting eastward with the 22-mile segment between Kalamazoo and Battle Creek. Travel times will be reduced as more improvements are made. 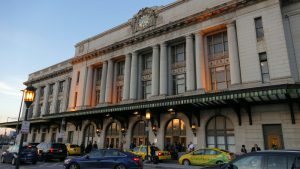 Last year, Amtrak shaved about 20 minutes from the 2001 schedules on the Amtrak-owned segment of the corridor and the plan is to further reduce the travel time between Detroit and Chicago to about five hours. 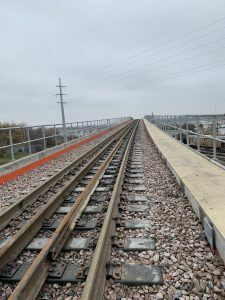 The $140 million used to purchase the line included FRA High-Speed Intercity Passenger Rail Program grant funds, plus a state match of $37.5 million. The FRA also awarded $196.5 million to MDOT for major track and signal improvements on this corridor, to be performed by Amtrak. NS will also transfer rail traffic control to Amtrak in phases during the next three years. “Amtrak looks forward to working with the FRA, Michigan, Illinois and Indiana to improve this corridor and better connect these vital cities in the Midwest with travel times far better than driving, more comfortable and productive than flying and with a smaller carbon footprint than either of those modes,” said Joe Boardman, Amtrak president and CEO.